Whats the best idea to start a new business? Becoming your own boss, running your own business, and taking charge of your life is kind of the ULTIMATE dream, am I right? I can see it now, the way I’ve decorated my office, my planner full of meetings that EXCITE me, and most of all, I can see myself rocking the #girlboss life, a total power-house dominating my industry. Ah yes, I can see it. I wear that hat VERY well, it’s a killer look for me. Can you see it for yourself? Do you dream about being in charge of your life, running your business like the girl boss you ARE? Except that… well… you’re not. Because trying to navigate the pathway to start a business and become your own boss is tricky. It’s totally achievable with a plan in mind, but to create a business plan you need a business idea, right? So let me ask you… WHAT DO YOU WANT TO DO WITH YOUR LIFE? b) all the things. Like. ALL of them. c) aren’t you supposed to tell me how to start a business in this post? Then, friends, this guide is for you. For a lot of successful business owners their idea came to them effortlessly, but most of the time there is some serious effort that goes into conceiving a solid idea that can be used to start a business. Here is the thing about business. You can’t be successful without drive, desire, and dedication. It takes a LOT of work to start a business and get it up and running (some businesses more than others!). So if you think you’re going to get through the set-up stage and start making some money, you need to have a solid plan that you care about. An idea that gives you that drive, desire, and dedication that you’ll need. A golden ticket idea to start a business. 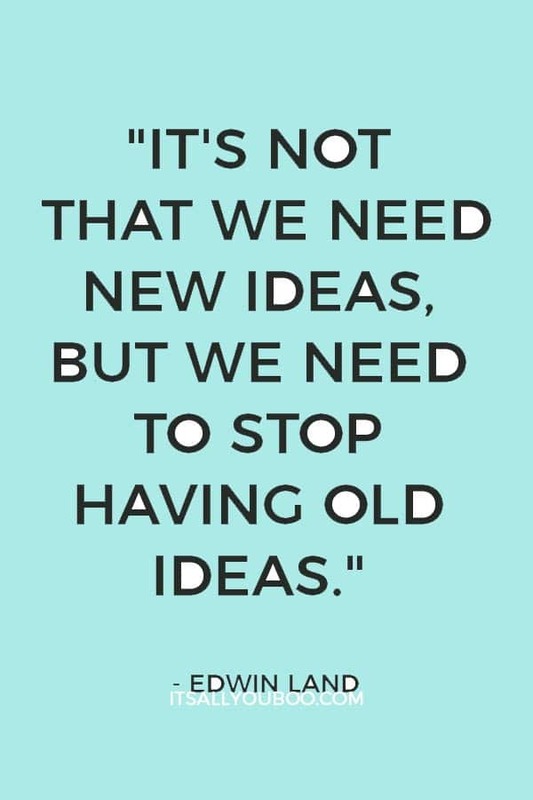 Our goal is to find THAT idea. The one that is going to get you up every morning and have you excited. The one that will let you quit the 9-5 and start living your dream. The one that will CHANGE YOUR LIFE. What am I passionate about? What should I do with my life? I know I want to start a business, but I don’t know what I want my business to be! Coming up with an idea for a business can feel a little like searching for a needle in a haystack. Or a single, lime-green polka dotted starfish amongst the vastness of the ocean. It can feel impossible to narrow down all the thoughts going through your brain but you KNOW you have got to do this and that you want to do this, so let’s get started. Let’s start your dream! There is a common misconception that people with an entrepreneurial spirit should start a business based on what they are passionate about. For example, if you LOVE rock climbing, start a rock climbing business. Do not do this. I repeat. DO NOT DO THIS. What? But Jess, I want to start a business I am passionate about and do what I love! Why can’t I start a business about something I love? Short Answer: because your “love” will not make it successful. Long Answer: To have a successful business, you need to have clients that are willing to pay for what you do, which means you need to make THEM want the kool-aid you are selling. Trying to start a business based only on the fact that you are passionate about it, with no other purpose, is not going to sell to clients. They have opinions of their own, and they are going to do what THEY love. They don’t care about your Kool-aid. YET. Let’s make them care. Let me tell you what makes them want YOUR kool-aid… You are providing them with a SOLUTION. You read that right, your business should be a SOLUTION. Not a hobby. It is still incredibly important to find a business idea that you are absolutely passionate about, but your passion is only HALF of the recipe. The other half of the recipe should be determining what kind of solution your business is going to be providing to a problem. Now let’s get into the nitty-gritty and find the perfect recipe for you, bake it up, and see what comes out! The first step is to start keeping TWO lists. You can keep them on your phone, in a notebook, or use an awesome downloadable template. On the first list, write down everything that sparks your fire and makes you happy. What are you passionate about? What things make you excited? What do you love? On the second list, you are going to write down things that tick you off. What makes you angry? What annoys you? What are the random problems that you notice? I am personally passionate about a lot of things, so I feel like business ideas were constantly flitting in and out of my brain. I took several weeks of writing down things that I loved, ideas for businesses that I felt passionate about, and things that make me happy. I also spent that time writing down things that bothered me and problems that I came across. And then, you celebrate with a wedding of something you’re passionate about and a problem that needs solving. Your idea for a business should unite both! You marry an idea from one list to an idea from the other list, and BOOM! Your baby business idea is born! For example, I LOVE to write and be creative. I HATE that there are so many mommy bloggers out there that give off an unreal perception about what life is like after having kids, I just want to see more REAL women on the internet that are actually relatable. Therefore, the natural path for me was to start writing a blog with a focus on maintaining REAL-ness on the internet. So Hey Sunny Jess was born! 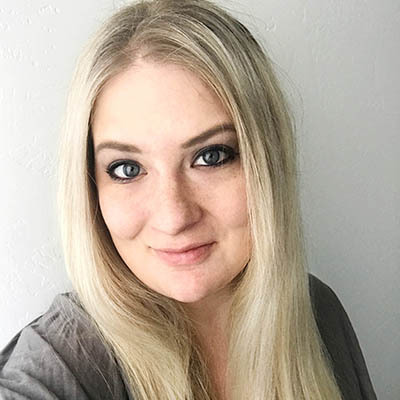 I focus on tips and tricks for moms that promote self-confidence and body positivity, and I write as transparently as possible about my experiences and problems. Now, that’s just my example, but you can apply this model to any other company that is successful. Look at what they are providing, why do people come to them? It’s because they are providing a solution for SOMETHING. Let’s look at another example of this model. Take a look at Mark Zuckerberg. You know, the infamous creator of Facebook? Mark had a knack (well… more than just a knack!) for technology and creativity when he ran into a problem and created Facebook to solve it. Take a second and think about it. What problem was Mark trying to solve when he created Facebook? If you look into how Facebook was founded, you’ll know there is speculation as to whether Zuckerberg created it as a tool to get to know people or if he did it as a way to meet girls. Either way, the problem he saw is that there wasn’t a way to get people connected or learn more about them. So what did he do? He created it himself. He took his passion for technology and married it with the problem he saw at hand, and Facebook was born. And now his company is one of THE most successful companies to have ever existed. Ever. 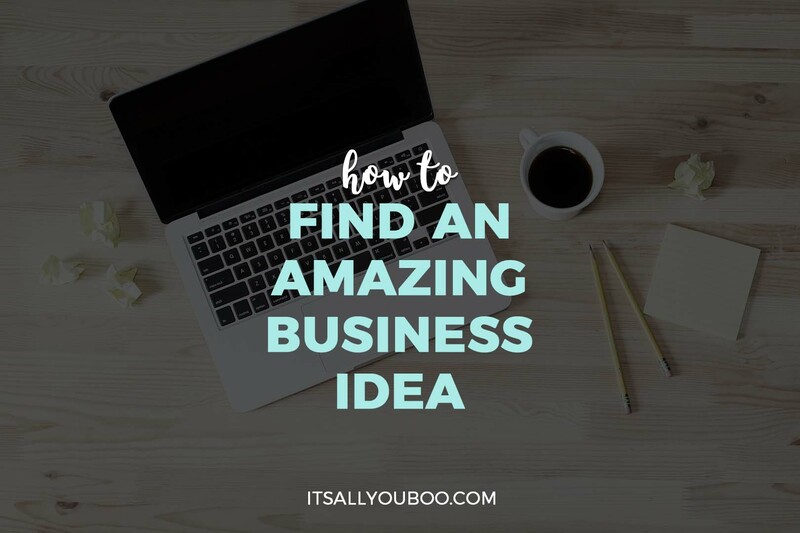 Clearly, coming up with a business idea that is solutions-oriented is KEY to the recipe to start a business and become the successful, amazing #girlboss you are meant to be! Once you have a chance to review your two lists, start thinking about how your passions might work well to solve some of the problems that you’ve found. You might need to delve deeper into your lists and discover what they are really saying about you. For example, I hate slow lines. Whenever I am in a slow line, I get all fired up and start thinking about ways things could be moving more efficiently (i.e. open another register, separate the line into two, etc.) and it took me a little bit to realize that the problem here is that I don’t like inefficiency in organization. I like the way things are organized to function efficiently. And I LOVE when things are pretty. So you know what I think is just a DYNAMITE business idea? An app to organize your day in a way that is easy-as-pie to use and keeps you efficient as a human. Ha. Put a pin in that. The Timepage app is close, but it’s not quite perfect! The great thing about both of these lists is that they encompass what you are passionate about, both in what you like and what you dislike. 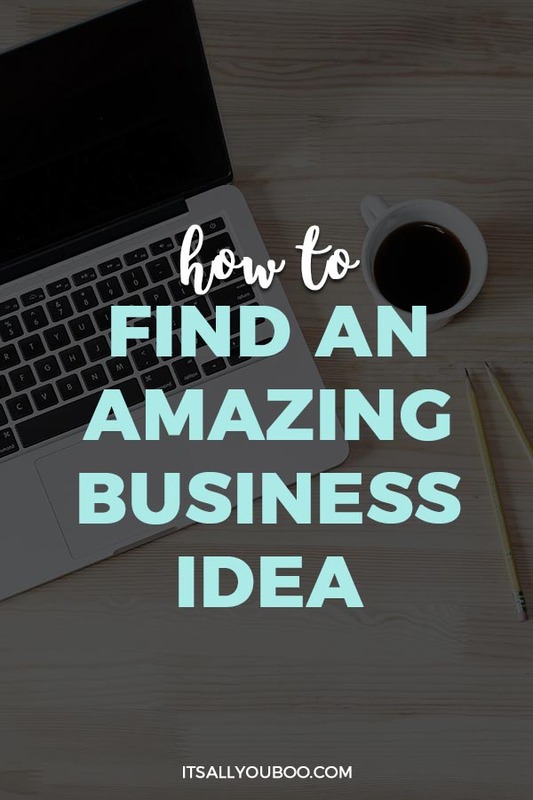 This means you are automatically going to have a list of business ideas narrowed down that are things you CARE about, which is going to give you the drive you need to get going and start a business of your own. With your golden ticket idea in hand, you are ready to hop on the #girlboss train and start your journey! Now that you’ve got your business idea, you’re ready to make your goals, create a plan, and build your empire! Get the Printable Strategic Planning Workbook to help you decide on a business idea, and get started. Sunny is a mommy/lifestyle blogger with a passion for living life to the fullest, in all of its messy, beautiful glory. She started Onyx & Blush Co. after her experience with postpartum depression as a form of self-therapy and has since turned it into a source of creative inspiration to share her story with other girl bosses and mamas out there. I’m so glad that from your perspective as a business owner, you feel this would have been helpful! Thank you so much for sharing 🙂 I definitely hope it helps at least a few aspiring girl bosses out there! I absolutely think you hit the nail on the head with this article! Starting a business is nothing short of a whole lot of work and there are so many things to think about and do. I was most surprised about ‘don’t start a business on something you love’ — I had not thought of that, but after reading your reasoning, I totally agree! I think this is a great source of information for those who are trying to figure out what to do next, so I appreciate these sorts of posts because they’re chock-full of valuable information! Thanks for sharing all the know-how with us! It’s true, people have to want to buy your “koolaid”. To have passion is one thing, to sell it is another. Your post hit that beautifully. Find a way to connect people with your passion. Thank you for this though provoking article! Thank you so much for reading! I love the koolaid selling analogy as well because it’s very true, figuring out how to sell it is definitely a much different task and the real key to starting a successful business! You shared such great tips of a business idea. As a business owner sometimes I sucked to choose unique and exclusive idea about business. You guide definitely helpful for me. Thank you for sharing. I’m so glad you found this helpful! I know being an entrepreneur and starting a business is a lot of work and very intimidating but by choosing to do it anyway, you’ve already fought half the battle! Thanks so much for reading! Oh, I absolutely agree! The purpose of this post is to help entrepreneurs in the very early budding stages of a business and help them find their business idea if they don’t already have one, but it really is only the very first step. You are 100% correct, once you’ve got your idea you definitely want to do a lot of research, both on your own idea and on potential competition, to help yourself build a successful structure for your business. Nadalie has some great posts on this blog that talk about the various steps that need to be taken when starting a business, but I think it’d be a great idea to have a post to specifically cover the research portion, maybe that is something we will see in the future. Thank you so much for the feedback! These are all great tips! I’ve always said find a small problem in life that makes you nuts; if you can solve that one issue, you’ve got a golden product/service because if it bug you, it bugs millions of others as well! Right? I also feel like there is such satisfaction in making money off of solving a problem that drove you crazy, it’s a win-win all around. Thank you so much for reading! I agree, I think it is really important to find a way to make money doing something you are passionate about because it makes it so much easier to work hard and accomplish your goals! Finding something you love and a way for that passion to become a solution you can sell for profit is key. Thank you so much for reading! Yes to all of this! I have the Serious Business Women Cup on a T-Shirt! I quit my corporate job to be a full-time influencer and blogger and haven’t regretted my decision since! Wow, that is absolutely amazing! Way to hustle and follow your dreams! Thanks for reading. Great tips. So the idea is to marry what you love to do with a need. 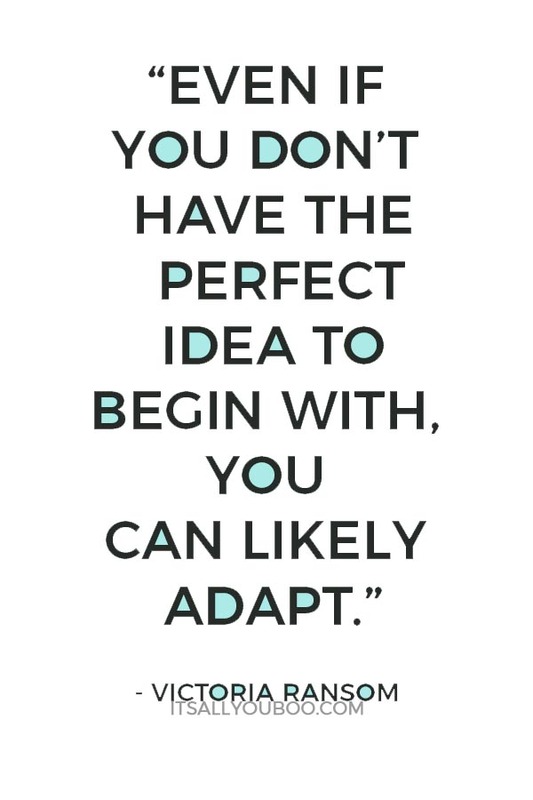 So find a gap in the market that you can fill with your skills. Love this post. This is the kind of article that high schoolers need to be exposed to rather than formal career talks. I think it would be really amazing if high school and college age students were talked to more about this kind of thing, imagine the possibilities! Thank you so much for reading! Thank you so much for reading! I agree, passion is important! Oh this makes me so happy, I’m so glad you found this helpful and I hope your lists are able to help you dive deep and find the inspiration you’re looking for! You’ve got this, girl! Great information here for anyone thinking of setting up their own business. Setting up my business was the best thing I ever did for my career. I think starting your own business is amazing experience and very valuable! Thank you so much for reading and sharing your experience! I’m so glad you enjoyed it, thank you for reading! I like the idea of solving a need in an area you love. Starting a business is hard work. If you aren’t passionate about it, you’ll never get it off the ground. I agree you have to have passion about what you are doing it can make or break your business. A business is a lot of work to start up, and if you don’t have some passion how are you going to convince yourself to do the work, right?? Thank you so much for sharing and for taking the time to read! I believe and write about often that when you do what you love with passion and purpose, you become successful in many ways. It’s so important to find what drives you and then you can make the magic happen. I do have to say this is great for those that can’t really conform a business idea or think that their idea is not good enough. I lucked out and learned this from an early age and never looked back. That is amazing! I know so many people (myself included!) that struggled to come up with an idea but KNOW they are meant to be an entrepreneur, which is. why I wrote the post and I hope it is helpful. Thank you so much for reading and for your kind comments! This was great. I always tell people that want to do the entrepreneur thing to do something they would do for free because they were that passionate about it. That passion has to sustain you during some of the leaner times. Oh I really like that tip, what great advice! Thank you for sharing! I never have a problem on coming up with ideas. The problem for me is actually sticking to one, and focus. This post has some great tips I will start incorporating. Thanks! Haha I hear you, I think that is part of the problem with being a creative! It’s so easy to come up with ideas and then much harder to keep going and going on the same path! I’ve been down that road as well in past business ventures haha, but this was how I found the idea that I’ve been able to finally keep going! 🙂 Thanks for reading. This is fantastic advice. Too many people start businesses focused around a hobby and have a hard time finding people to pay them for the services. Right? It’s so rare that someone who starts a business based on just a hobby is successful, and definitely they aren’t successful without implementing at least a few of these steps. Thanks so much for sharing your insight and for reading! This is fantastic. I always wanted to be an entrepreneur. The tips are useful I will start implementing.